The rapper Post Malone will perform onstage with the Red Hot Chili Peppers during the 2019 Grammy Awards, the Recording Academy announced Thursday. The tag-team effort is the latest news on the ceremony, which will be broadcast on February 10 on CBS. The singer and songwriter Alicia Keys will host the 61st event, and she’ll lead a night of music that will include already booked participants Janelle Monae, Camila Cabello, Cardi B, Dan + Shay, Shawn Mendes and Kacey Musgraves. In addition to the Post-Peppers news, the Academy also added to the performance roster multiple Grammy nominees Brandi Carlile and H.E.R., as well as past nominee Miley Cyrus. News that Malone, who earned his first-even nominations for record of the year (‘Rockstar’), best rap/sung performance (‘Rockstar’), album of the year (‘Beerbongs & Bentleys’) and best pop solo performance (‘Better Now’), will be backed by the Los Angeles arena-funk band might be jarring — Malone was born the same year, 1995, that the Peppers released their multiplatinum album ‘One Hot Minute’. One connection, though, seems to have been enough for Grammy producers. Both have a song called ‘Otherside’. Add in that both drew musical inspiration from predominantly black genres and both connected with a crossover demographic that has historically done a lot of beer bongs and bingo, a Grammy moment to remember. 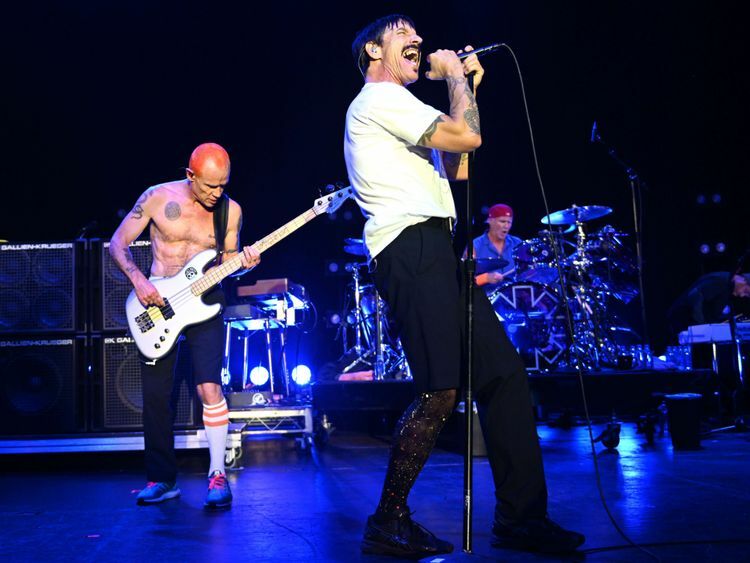 Though this will be Malone’s first chance for trophies, the Red Hot Chili Peppers have a boatload: six wins and 16 nominations.